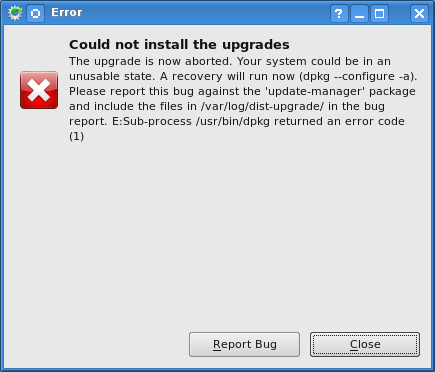 "Could not install the upgrades"
/usr/sbin/deluser: `/usr/sbin/userdel snmp' returned error code 8. Exiting. I was able to get around it. 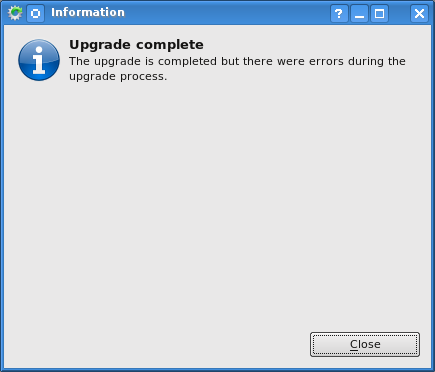 The upgrade only deletes (and recreates) the user if the group "snmp" doesn't exist on the machine. That leaves a window for a system where user snmp exists, group snmp doesn't, and snmpd is running under that user. The easy workaround for this problem is just to killall -u snmp before retrying the snmp install. Of course, once you get past that point, you may very well run into bug 589056..